Boost your maximum health potential with ozone therapy. Watch the video : What is ozone therapy? Just as we watch technology evolve at a rapid pace year after year, so too does the discovery of ways you can treat and nourish your body to boost your maximum health potential. In addition to our High Potency IV Vitamin Therapy, Ozone Therapy offers a multitude of benefits to your body and in return your quality of life. Ozone therapy involves introducing the Ozone molecules in specific ways to our body. The most common method is mixing it with our blood in an IV and reintroducing our ozonized blood back into our body. Ozone is a naturally occurring element found in our atmosphere. 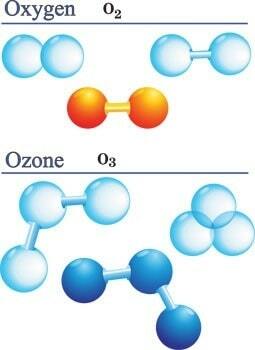 The ozone molecule (O3) contains three oxygen atoms whereas the oxygen molecule (O2) contains only two. Therefore, Ozone is a form of oxygen and can be produced by special technology in a doctor’s office. Despite its dubious status in the USA as an “alternative” treatment, for the past 150 years Ozone Therapy has been thoroughly studied and widely utilized throughout Europe and Asia. For US patients who encounter it for the first time it’s an interesting and curious treatment, because it seems so simple, natural and effective, that one wonders why so few US doctors use it. 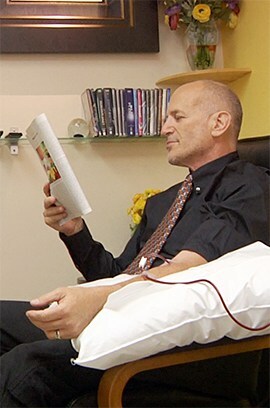 As a matter of fact, even though it is statistically one of the safest medical treatments known, until relatively recently, Ozone Therapy was illegal in many states, and patients had to travel to Mexico to find American doctors who practiced “Integrative Medicine” and whose specialization included Ozone Therapy. The reasons for this negativity and resistance to ozone in the US are entirely political and commercial, (as many disruptive innovations encounter), and have nothing to do with what is good for patient care…. But this is a subject for another article. At AMA Regenerative Medicine, we were introduced to Ozone Therapy by some of our patients who had been healed from various devastating cancers and microbial infections by American Integrative MD’s who had moved their offices to Mexico. 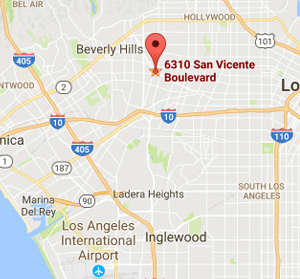 Their stories were so compelling that we traveled with them to these clinics to learn firsthand about the mysterious ozone treatments. Thereafter, having validated their amazing recoveries with our own eyes, we traveled to Italy, the world’s center for ozone studies, to study Ozone Therapy with renowned global experts. It was there in Italy that we learned about Ozone Therapy and how it is extremely effective in patients who are suffering from a wide variety of chronic microbial infections, fungal (yeast) such as Candida, Bacterial infections such as Spirochetes and Lyme Disease, MRSA infections and viruses such as Epstein Barr, Herpes (Simplex & Shingles), HIV and even Ebola, as well as a whole host of inflammatory diseases. Ozone has different actions depending on its concentration and how it’s administered. While ozone does have a direct killing effect on bacteria, funguses, protozoa and viruses, its main mechanisms of action are by stimulating (modulating) our natural physiological immune and regenerative systems. Thus, ozone easily fits into the category of “biological therapy”, or “physiological therapy”. By stimulating mitochondria, ozone supports and accelerates the body’s natural ability to heal damaged tissue and regenerate healthy tissue. Examples include ozone injections to heal damaged joints. It accomplishes this by stimulating the mitochondria of cells that are actively involved in regeneration, such as Stem Cells or the cells that generate new collagen in a damaged joint, or those that form new bones in the case of bone damage. Note: Every cell in your body is dependent on ATP from which it derives the energy it needs to perform its functions. ATP is generated in mitochondria. Therefore, if your cells have more ATP, they function better. From cells that make collagen, to cells that make your hormones, or make natural antioxidants, or detox your blood… everything is dependent on the health of your mitochondria. Ozone is better at supporting the health of your mitochondria than any other known substance. Interestingly, prokaryote cells which include all bacteria do NOT have mitochondria, so they are not helped by ozone. Wherein ozone attacks pathogenic infections by bacteria, fungi, protozoa and viruses, and stimulates the body’s natural immune defenses. This form of physiological therapy is called Oxidative Therapy. Note: Ozone attacks the cellular membranes (walls) of microbes, so all bacteria fungi, yeast and viruses are susceptible. Note: Ozone is also a powerful stimulator of immune functions by increasing your generation of interferon, tumor necrosis factor and Interleuken-2. All of these are essential in a healthy immune response to microbial infection attacks. Note: Bacteria can not develop resistance to ozone. Wherein ozone attacks malignant cells, and protects healthy cells. It can also be a powerful adjunctive therapy to chemotherapy. As in #2 above, this form of physiological therapy is Oxidative. Ozone stimulates the body’s natural ability to generate its own anti-oxidants. This is particularly important for the health of the two organs that generate more oxidative activity than all other organs, namely, your liver and brain. Ozone stimulates a powerful anti-oxidative response by our bodies and has proven effective in subduing the overproduction of inflammatory cells such as those associated with Asthma, Diabetes, as well as other painful inflammatory diseases like arthritis, Fibromyalgia and others. Ozone stimulates oxygen metabolism by empowering your red blood cells with greater cellular energy derived from glycolysis. This also increases the ability of your red blood cells to deliver greater quantity of oxygen to your tissues. This not only increases your body’s ability to regenerate new tissues, it directly attacks bacteria, who are anaerobic and are negatively affected in an oxygen rich environment. As the clinical evidence for the effectiveness of Ozone therapy is gaining recognition, there are now several clinics throughout the country that are having remarkable results treating chronic complex infections, like Lyme and various viral infections with ozone. The preferred method of administering ozone therapy is intensive intravenous (IV) ozone protocols. The most effective of these therapies is Hyperbaric ozone therapy with the Hermann device, also known as “Ten Pass” therapy. Most clinics combine ozone IV therapy with high potency vitamin IV therapy, for a synergistically fabulous impact on your overall health and wellbeing. Ozone can be injected directly into joints and soft tissues. Though Ozone is powerfully effective when administered as an IV, It has a similar effect when applied internally or topically in the form of ozonated oils such as olive oil. (Nikola Tesla was the first to develop these medicinal oils for physicians). Water can also be ozonated for drinking and bathing in. Ozone gas, at precise concentrations, can be infused into a bag that is encapsulating a limb, (“limb bagging”), or used in ozone saunas. In each of these cases, the ozone treats localized infections, and supports an accelerated healing of the inflamed tissue. Bottom line, ozone therapy is safe, natural and works physiologically to eradicate all sorts of infections and boost your overall health and wellbeing. “My name is Gavin. I had a quadruple bypass. I’m a glass artist and surfer. Pretty active person. I’ve been a vegetarian my whole life. ..
Q. Can ozone treatments help with Avascular Necrosis? A. A combination of Hyperbaric Ozone Therapy and Hyperbaric Oxygen Therapy has an excellent chance of stimulating significant healing of your AVN. The regeneration of damaged tissue is stimulated and by both therapies. Also, your native stem cells, which are at the heart of your situation, are known to be stimulated by Hyperbaric Ozone Therapy. Another therapy that may be very beneficial to you is Stem Cell Therapy. Stem Cell Therapy is the single most effective regenerative therapy ever known. When combined with Hyperbaric Ozone Therapy the two produce maximal results. Q. Is Ozone Therapy good for Arthritis? A. Yes, Ozone Therapy is fantastic for Arthritis. Ozone causes the reduction of pain and inflammation, and stimulates regeneration, when injected directly into an arthritic joint. When ozone is infused into the blood, for those with Rheumatoid Arthritis, it reduces the systemic inflammation throughout the body that is caused by the autoimmune disease. Q. Is Ozone Therapy beneficial for autoimmune diseases such as Hashimoto’s disease? A. Ozone Therapy is very beneficial especially when combined with Stem Cell infusions. Multiple treatments will be needed. Ongoing maintenance treatments might be needed indefinitely depending oh how severe your condition is. Q. Can Ozone treatments help heal a herniated disc? A. Yes, Ozone Injections can be very healing for a herniated disk injury. Ozone stimulates the bodies natural regenerative processes and also reduces inflammation. To encourage regeneration of the damaged tissue, most doctors with experience in ozone medicine will include specific vitamins and cellular nutrients along with the ozone. The injections themselves are typically painless. The most uncomfortable part of the procedure is the prick of the needle. In the case of ozone injections into a joint, the pain disappears almost immediately. This is because an anesthetic is included in the formulation. Once the anesthetic has worn off, the pain is typically greatly diminished due to the effects of the ozone. Following the injection, it is important not to over exert yourself for a few days. Be patient as the healing response of your physiology takes hold of healing the herniated disc. Natural healing is not a “transaction”, it is a process that needs to take its natural course. To maximize the healing, your herniated disk may require 3 to 5 strategically timed injections. Q. Can Ozone Therapy help someone who is ill and in pain from taking an antibiotic like Cipro? A. Yes, the ozone will help quite a bit but you will also need to detox from the effects of the Cipro. There are Naturopathic doctors and Integrative doctors who are experts in this type of detox work. I am sure you can find one in your area. Quicksilver Scientific has the best detox protocols I have ever encountered. Q. I’ve always heard that it’s dangerous to have gas bubbles in the blood stream. Do you inject the ozone directly into the muscle? A. Yes, it is a bad idea to have bubbles in the blood stream. 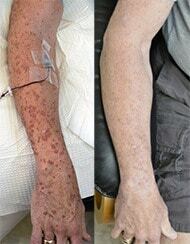 This is something that never happens when Ozone Therapy is administered in the standard way. A precise amount of blood is drained from the patient similar to giving blood. That blood is then infused with ozone and every drop of the patients blood is then dripped back into their body. Statistically, Ozone Therapies are the safest medical treatment in history. Millions of these treatments are performed every year all over the world without any negative occurrences or serious incidents. Q. Will Ozone Therapy help with fibromyalgia? A. Yes, in our experience ozone therapy can help fibromyalgia. Q. Can Ozone Therapy help someone with herpes? How many treatments would I need? A. Yes, Ozone Therapy is a powerful stimulant of your immune system, As such it can help very much against all sorts of viruses. We have many patients with hepatitis and herpes who are having excellent results. The protocol needed is different for each patient depending on the severity of their symptoms. Generally, patients start with 2-3 treatments per week for 4-6 weeks, and then, as they get better, we slowly reduce the treatments to once per week, then every other week, down to once per month. Q. I am interested in ozone injections for a damaged joint. How do the injections work? Clot Matrix, which is a fibrin clot derived from a small amount of the patient’s blood, which is especially rich in platelets. These platelets are cells that store all sorts of biochemical mediators that stimulate healing and regeneration. 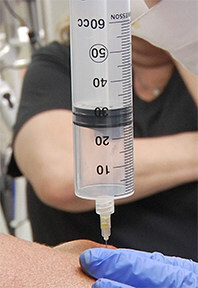 Procaine, which anesthetizes the joint, making the procedure comfortable. It also breaks the pain cycle. Lastly, if warranted, we can add a fifth and most potent element of all, Placental Mesenchymal Stem Cells. Using these stem cells causes such powerful regeneration, that many people who are scheduled for total joint replacement surgery can often avoid the need for the surgery all together. Sagai M and Boccicorresponding V. Mechanisms of Action Involved in Ozone Therapy: Is Healing Induced via a Mild Oxidative Stress? 2011 Dec;20:10.1186/2045-9912-1-29. Elvis A and Ekta J. Ozone Therapy: A Clinical Review. 2011 Jan-Jun;2(1):66–70. Bocci V, Zanardi I and Travagli V. Ozone Acting on Human Blood Yields a Hormetic Dose-response Relationship. 2011 May;17;9:66. Lerner R and Eschenmoser A. Ozone in Biology. 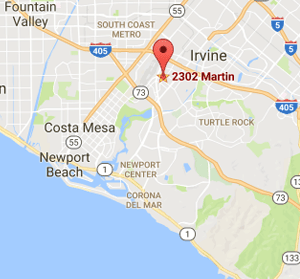 2003 Mar;18;(6)3013-3015. Zargaran M, Fatahinia M and Mahmoudabadi A. The Efficacy of Gaseous Ozone Against Different Forms of Candida Albicans. 2017 Jun;3(2):26–32. Song M, Zeng Q, Xiang Y, Gao L, Huang J, Wu K and Lu J. The Antibacterial Effect of Topical Ozone on the Treatment of MRSA Skin Infection. 2018 Feb;17(2):2449–2455. Baysan A, Lynch E. Effect of Ozone on the Oral Microbiota and Clinical Severity of Primary Root Caries. 2004 Feb;17(1):56-60.